T-Mobile dropped us a line today to tell us that starting next week, it will be carrying the two new Apple iPad Pro models. The slabs will be available online and inside T-Mobile stores. The 10.5-inch iPad Pro is powered by the Apple A10X chipset, featuring a hexa-core CPU and a 12-core GPU. That will provide as much as a 30% faster performance for the CPU and up to 40% for the GPU. The borders have been reduced by 40%, and the screen's refresh rate is now faster. The device carries the same 12MP camera (with OIS) as the Apple iPhone 7, with a 7MP FaceTime snapper. 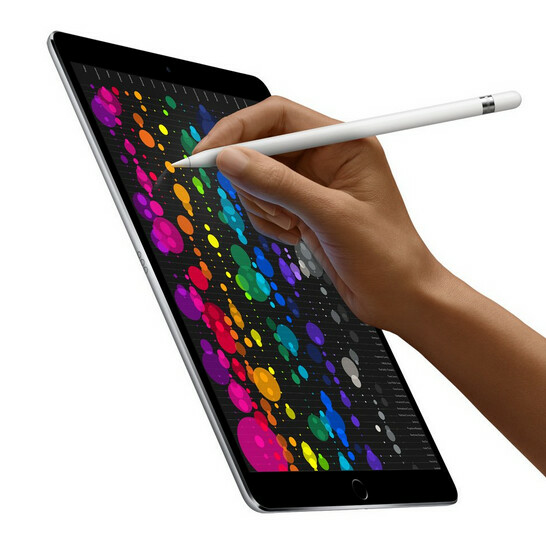 The updated 12.9-inch Apple iPad Pro carries the same chipset, camera and 265 pixel density as the 10.5-inch unit, although it does have a slightly lower screen to body ratio. We should point out that all of these model are the Wi-Fi + CellularThe new Apple iPad Pro tablets can be added to a T-Mobile ONE plan with Auto Pay for $20 a month. That, of course, includes unlimited high-speed LTE data. Tempting. How much is the pencil again? It's very cheap like the dollar store. Dunno, but at least there will be new iPad Pro's for customers to purchase instead.